Easy to install. A low profile solution. The Large Format Display Fixed Wall Mount has an ultra low-profile design, and has an integrated lateral shift up to 4″. The screen can be installed in portrait or landscape orientation for optimum viewing angles. This is easy to install and can be quickly connected/disconnected. It has integrated security with the addition of a padlock, and cables can be accessed through the sides of the mount. As it is secure, it is perfect for many hospital areas. 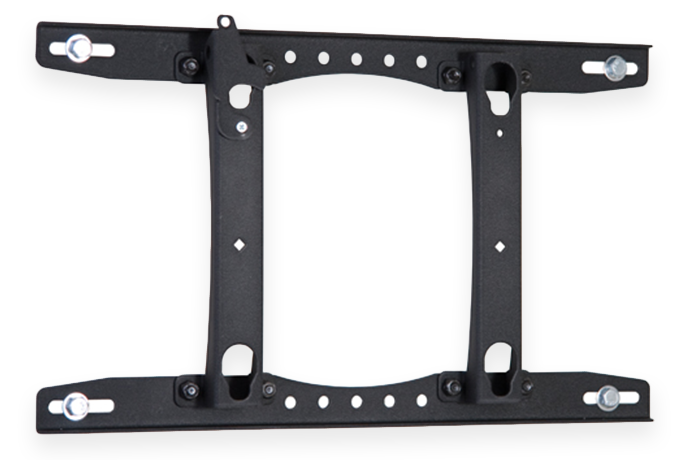 This mount has multiple mounting options including single stud at five different positions and 16″ centre stud mounting.